The menu created by the two chefs Jakob Mielcke and Jan Hurtigkarl draw inspiration from all over the world but still manages to keep it simple, clean and local using herbs from the garden just outside the door. At Mielcke & Hurtigkarl you choose from two options; The Full Experience (around 140 USD) or An Experience (around 120 USD). We were treated with the full experience and the wine menu and this dinner was the most spectacular and delicious one I have had in a very long time. From scallops to miso to deer to cheese and croissant with truffle and macaroons made with herbs from the garden to finish off; everything stood out and made a lasting impression. 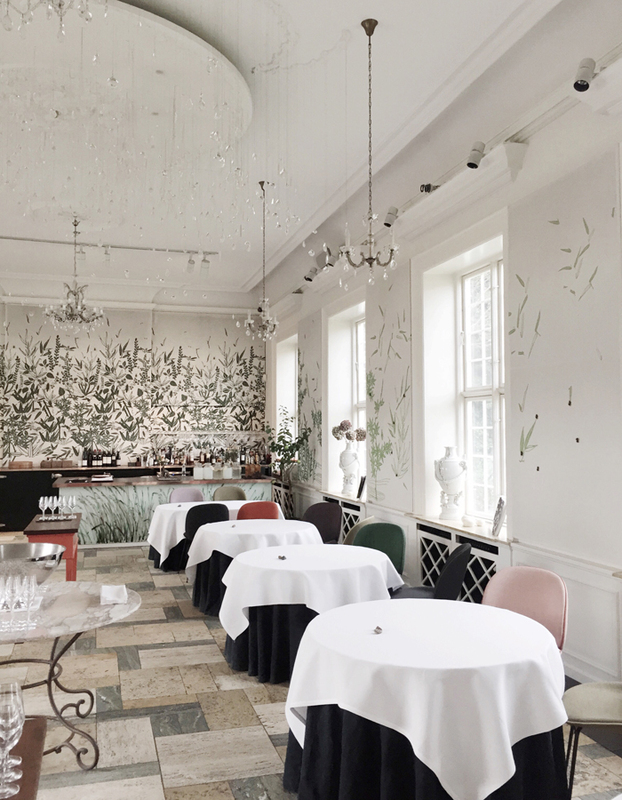 Recently, I did a guide to the most beautiful design restaurants in town for Copenhagen Food and included Mielcke & Hurtigkarl, a heavy weight in the Copenhagen restaurant scene. When they asked if I wanted to come by one evening and taste the menu, I was excited to say the least. 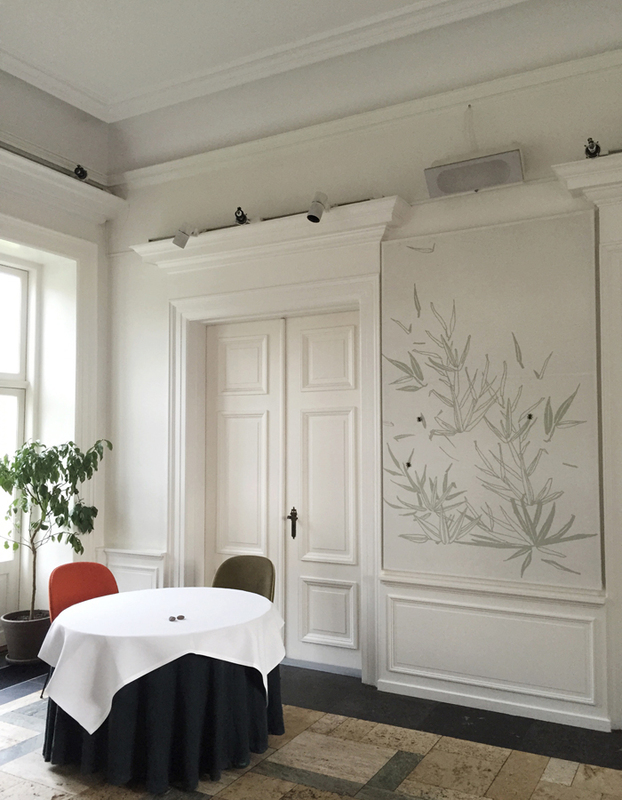 Praising reviews of this place are everywhere online as well as beautiful photos of the restaurant's interiors that the chefs had some talented Danish designers and artists help decorate. 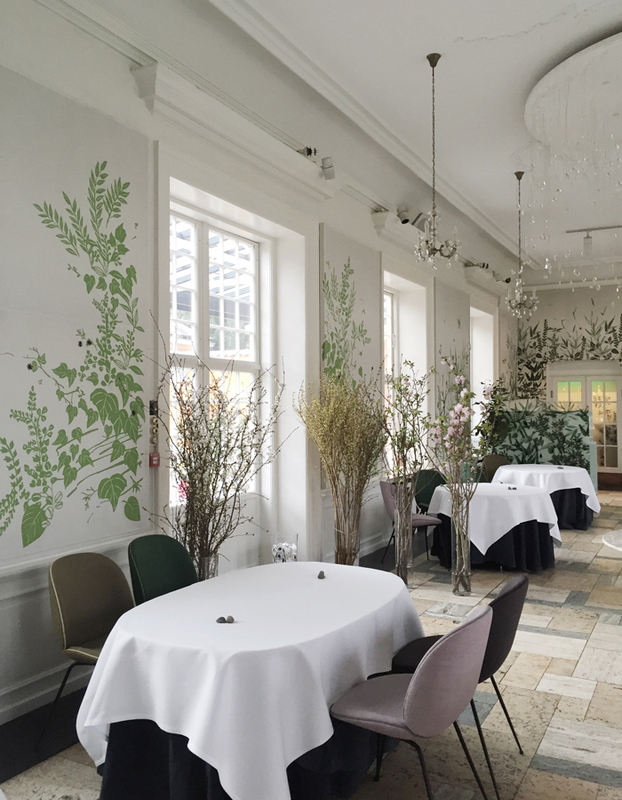 And so, on a freezing cold Friday night in February, we went to Frederiksberg Have, one of the prettiest gardens in town and the location of the restaurant and were blown away by the amazing food, great service and beautiful surroundings at Mielcke & Hurtigkarl. One thing about eating out is the food which in this case was Michelin-worthy (why the guide has not yet provided Mielcke & Hurtigkarl with a Michelin star is a bit of joke according to Danish food critics) and just as important is the service and ambiance of the place. At Mielcke & Hurtigkarl you get the whole package, and it was so refreshing to be taken care of by professional waiters and sommeliers, who helped make this fine dining experience very pleasant and welcoming. Even on a cold winters evening, this place is magical and I can only imagine how a lunch or dinner here during Spring or Summer in the romantic garden is like. Definitely a night to remember!